So there has been one thing missing for the most of this month. Something that usually appears quite often on my blog during December. Blue Christmas cards! 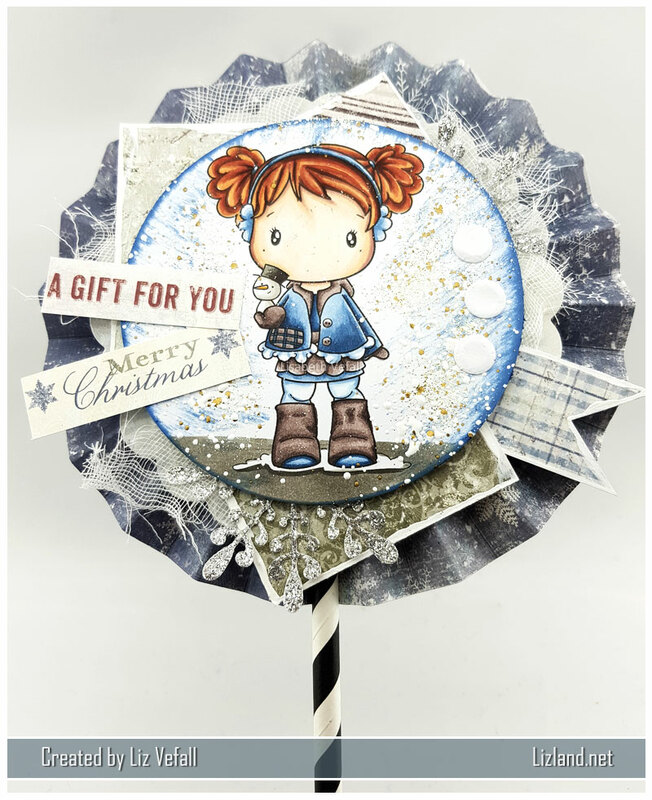 Let’s try to make up for that a little by having a blue lollipop card! I had a lot of fun making the lollipop card I showed off earlier this month. So much that I’ve made some more to use as Christmas cards for some of my co-workers! For this one I used a totally adorable stamp from C.C. Designs and a whole bunch of Maja Design papers. I even used two of the sentiments that come on the bottom of these papers! 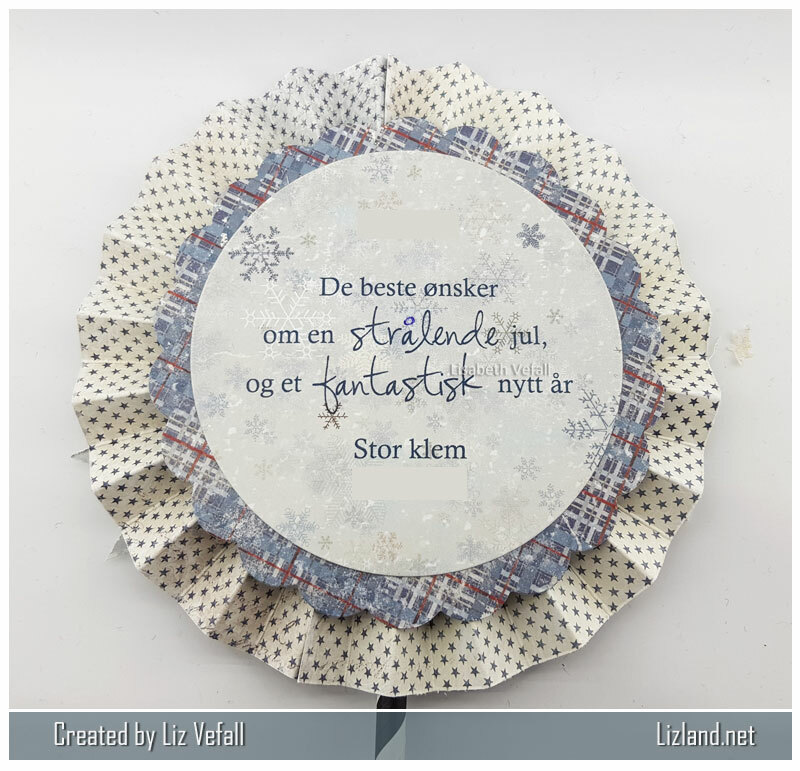 With a dash of acrylic paint, distress ink and frantage, with a snowflake die, cheese cloth and some card candi, it was all good to go! Here is how the back of it looks. I made the Christmas greeting on the computer and cut it out after. ← 22. Santa’s Helpers as a CAS card.